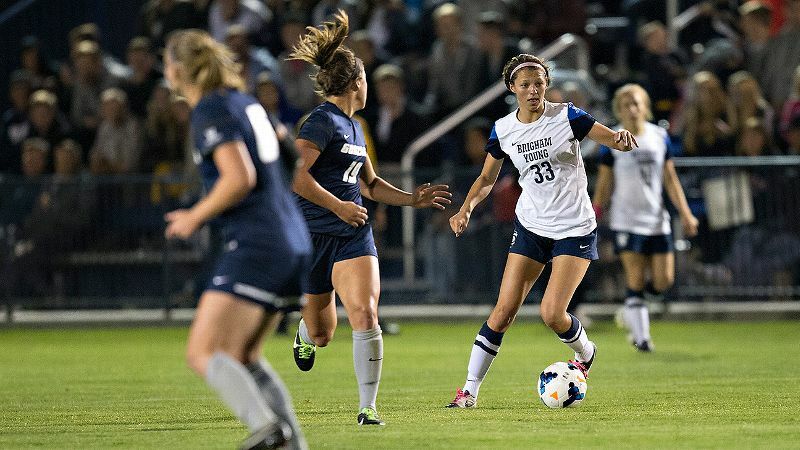 In scoring all three goals in BYU's 3-0 win against traditional WCC power Portland, sophomore forward Ashley Hatch became just the second player this century to record a hat trick against the Pilots. BYU's leading scorer this season wasn't even a college student two years ago, when the Cougars earned a No. 1 seed in the NCAA tournament and came within a goal-line clearance by eventual national champion North Carolina of reaching the College Cup. It's just another reminder that life, as Ferris Bueller told us, moves pretty fast -- as is the fact that BYU's Ashley Hatch was born about a decade after Matthew Broderick played that movie role. 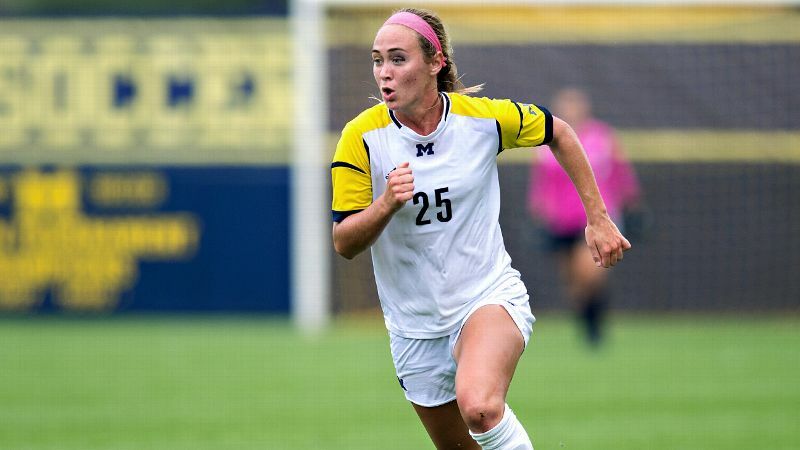 Yet in doing something this past week rarely done before on a soccer field, the espnW national player of the week also showed off the kind of potential that even a program as successful as the one in Provo can grow old without seeing twice. Ashley Hatch leads BYU with five assists this season. Rebounding from a slow start to the season, when it lost three games in a row and won just one of its first five games, BYU remained unbeaten in West Coast Conference play. And the Cougars did so by picking up wins against Portland and Gonzaga, two opponents who entered those games similarly unbeaten in conference play. 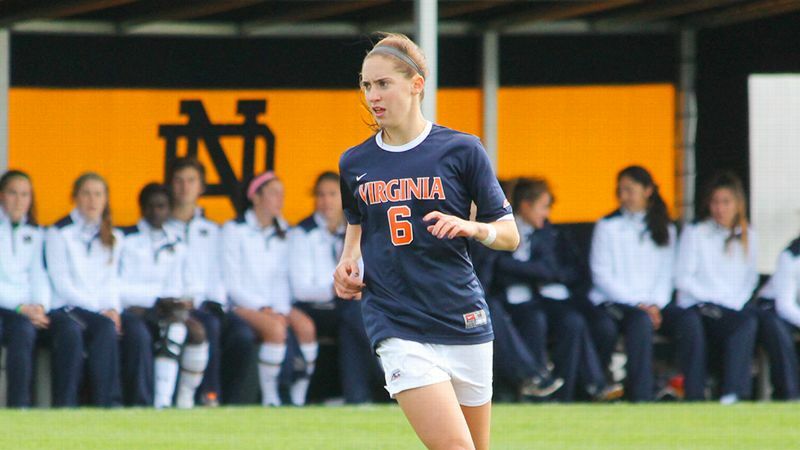 Hatch had as pretty an assist as you're going to see in Saturday's 2-0 win against Gonzaga, faking a shot from the right side of the box and pulling the ball back behind her in almost the same motion, then carefully picking out a teammate on the far side of the box. The sophomore forward leads the team with five assists this season, and shared the lead with seven as a freshman. But Hatch is a goal scorer at heart, and her finishing touch made her week stand out. In scoring all three goals in BYU's 3-0 win against traditional WCC power Portland on Thursday, she became just the second player this century to record a hat trick against the Pilots. Hatch had two goals before the game was even 15 minutes old, the first a one-touch volley from the edge of the 18-yard box and the second a strike under the crossbar from close to 25 yards that got on the goalkeeper before she could get a hand up in self defense. She finished the hat trick with another shot from distance in the 83rd minute. It marked the first hat trick for BYU since 2005 and gave her 11 goals this season, already more than all but 14 single-season performances in program history. "Ashley's a competitor; we knew that when she came here," BYU coach Jennifer Rockwood said after the Gonzaga game. "She had a great year last year, but she's been a dominating performer so far this year. She's dangerous. Teams have to adjust to her. She can crate her own shot, she's fast, she's physical and she just makes things hard. Plus she's learning to be a great passer. She's combining very well. And she's just dangerous. Every time she touches the ball you think something good could happen." Truth be told, it could have been more. Among at least a couple of additional chances against Portland, Hatch at one point smashed a shot off the bottom of the crossbar. And smash is the appropriate word, hence a teammate bestowing upon her the nickname "Ash Smash." Hatch was too fast in open space and too strong and athletic in close quarters for Portland or Gonzaga. But perhaps her most eye-catching trait is both how hard she hits the ball and, at least against the Pilots, how well she keeps many of those shots on or near frame. Enjoy her now BYU. She'll be gone before you know it.